As autumn heads towards winter and the cold long nights set in, the idea of heading outside for evening entertainment becomes less appealing. This is when the cosy, wine infused dinner party becomes a popular option. Now if, like me, you love to create the perfect ambience and lavish your friends with delicious food, but would rather avoid the stress often associated with hosting a dinner, then you’ll be delighted to know how easily this can be done. Before you commit yourself to planning and cooking a three course dinner for eight, don’t forget that other options do exist for you busy types! Personal catering is becoming more popular whereby ready and willing chefs bring their skills into your home and allow you to enjoy the evening without compromising the food quality by drinking too much wine beforehand. A range of services are out there, from your home-based cooking enthusiast in need of a little extra cash, to your professional London catering companies who serve fine dining at weddings and corporate events. If you are ready to impress under your own steam then a few tricks will help limit the stress factor. Firstly, anything that can be made in advance, say 1 or 2 days, are perfect dinner party options. Soups can be made a couple of days ahead as can starters such as patés and dips. Smoked mackerel paté is delicious and can be spread on toast, easy! Some desserts are also very easily made the day before, such as Panna Cotta, trifle or cheesecake which can be spruced up on the day with a simple fruit coulis (frozen fruits and jams melted in a pan!) or chocolate sauce (nutella and cream warmed together!). For the table, lay out the necessary cutlery at each place with both a water glass and a wine glass. Pop the napkins in the wine glass to give that restaurant feel and put a water jug (with lemon and ice if possible) and red wine on the table. Candles and background music (below talking volume) add ambience. Do as much as you can beforehand and you’ll be free to enjoy the evening. A personal/private chef does definitely save on all that prep – a good solution to a time strapped person. 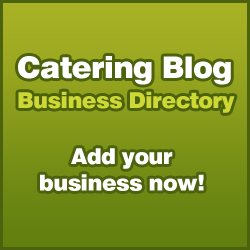 And if you are looking for home caterers, take a look at http://www.companiescatering.co.uk. they list catering companies in your area and allow you to review them. Making things in advance always serves me well whenever I throw a dinner party. I always get started with prep first thing in the morning and then if there is anything I can part cook ahead of time, I do that too. I also try to stick to doing 2 fairly ‘simple’ courses and only go all out with 1 of the courses so it means I can spend 2-3 hours in the morning on prep, then only need to do another hour or two once guests arrive.